This possible barrow mound is to be found about a quarter of a mile to the East of the church of St Michael at Pennington. Visible both from the roadside about a hundred yards to the South West, and from the railway bridge to the South, it stands out on the flat flood plain that extends West and East of Barn Beck. Above. A view of the barrow from the railway bridge to the South. It is described as a tumulus, with a base measuring some four hundred feet in circumference, with a maximum height of around fifty feet. Some sources state that it is probably a 'spoil heap' from either the building of the nearby railway, or an earlier field clearance. Above. A view of the barrow from the roadside to the South West. 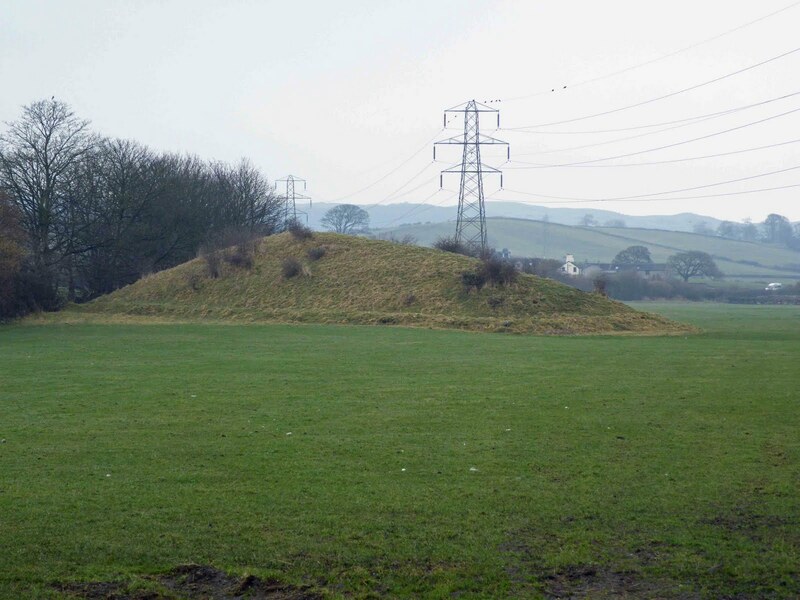 The barrow, or mound, depending on who you believe, is easily accessible from the road side, although there is little or no parking here. The best place to view it, and to ponder its antiquity, is from the railway bridge, which affords unbroken views across the flood plain. 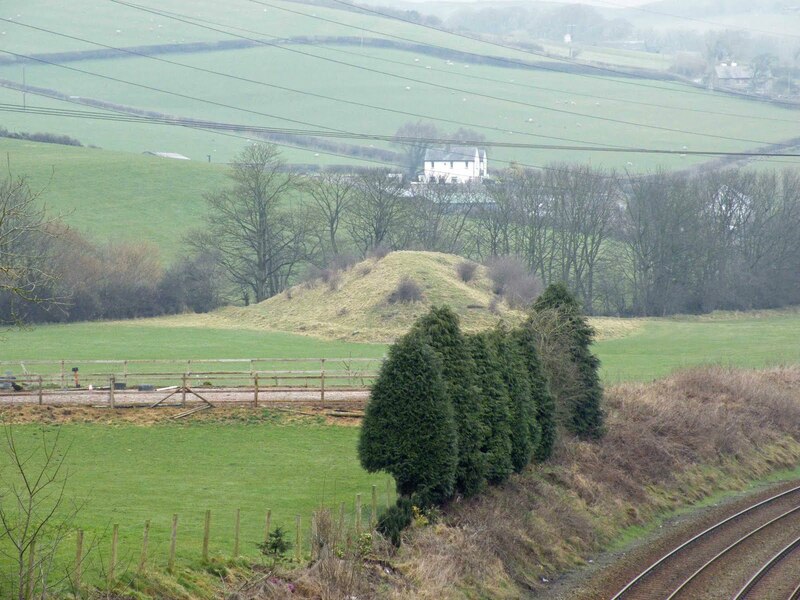 Since the mound is recorded in 1805 it can't possibly be a spoil heap from the railway, although it is possible that spoil from the railway was dumped on an existing mound giving the rather odd shape seen.